When I was in high school, We used the word “ridiculous” to describe anything perceived to be foolish, beyond fun, and/or at the upper levels of crazy. It was somewhat synonymous with today’s “epic”, and went way beyond the lackluster “swell” of the ancient first few decades of the twentieth century. I say all of this because I am about to talk about and show some ridiculous looks at members of the Costa Rican avifauna. Some views are so good that they are, well, just ridiculous (aka soul satisfying looks, cosmic mind f….r, etc.)! “Ridiculous” can also be at the other, more dreaded end of the bird sighting spectrum where the views are identifiable yet so darn poor that we shake our heads and mutter, “that’s just ridiculous” (aka much better view desired, total crap view, etc.). Yet another subset of “ridiculous” is associated with birds doing weird things. This Chestnut-colored Woodpecker was ridiculous because it inisted on foraging at eye level and in good light for at least 20 minutes. Not to mention that platinum punker hairdo. 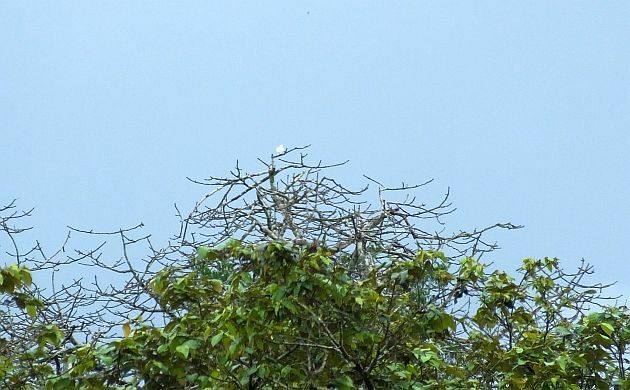 On the other hand, this sighting of a Snowy Cotinga was ridiculous for other reasons. Thankfully, we also watched it through a scope. 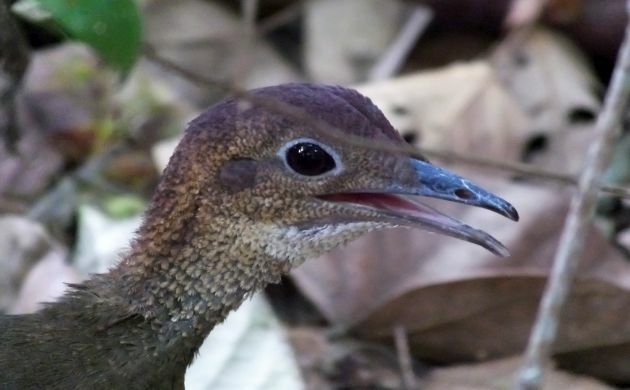 Yes, ridiculous close looks at a Great Tinamou! This is actually commonplace in Carara National Park. 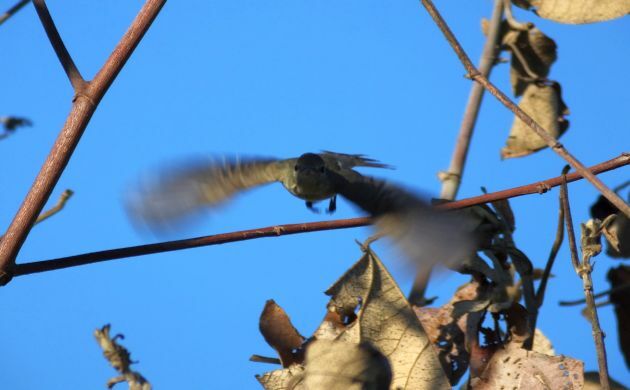 This is a Northern Beardless Tyrannulet in attack mode. 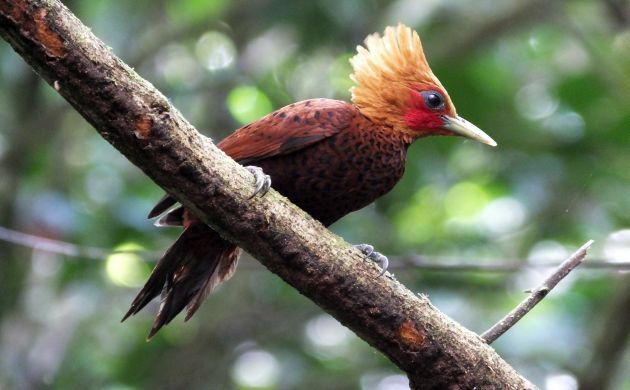 If you can identify this bird, you deserve a “ridiculous birder” badge. Now for another ridiculous tyrant-flycatcher. 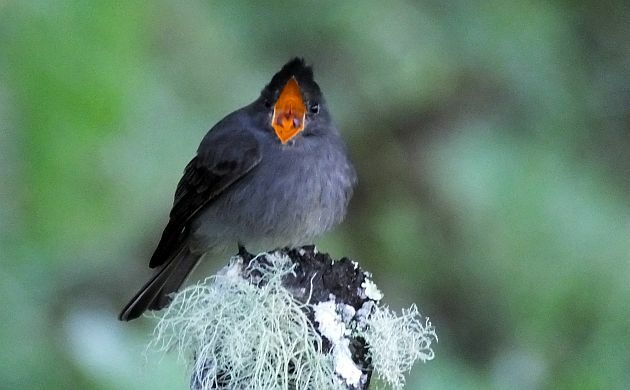 In Contopus circles, the Dark Pewee is also known as “that middle elevation dude with the orange mouth”. 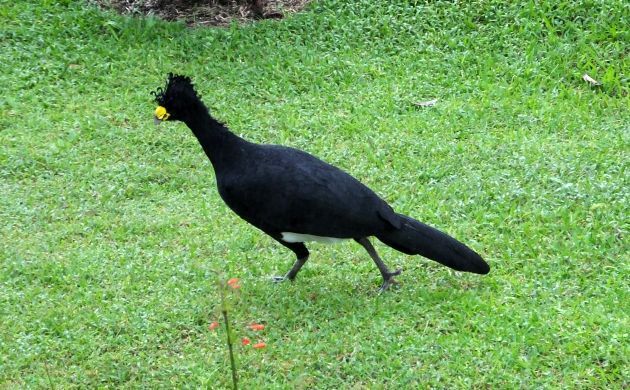 Great Curassow foraging on a lawn- just ridiculous. Blue Dacnis in the grass. 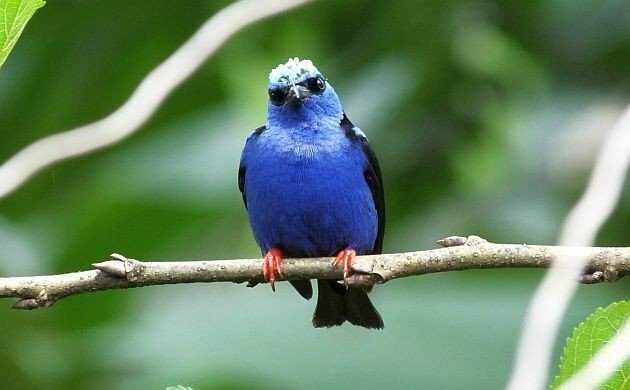 Ok, believe it or not, this is way more ridiculous than the curassow because this tiny tanager usually hangs out in the canopy of tall rainforest. This female was foraging in a pasture like a poser seedeater. 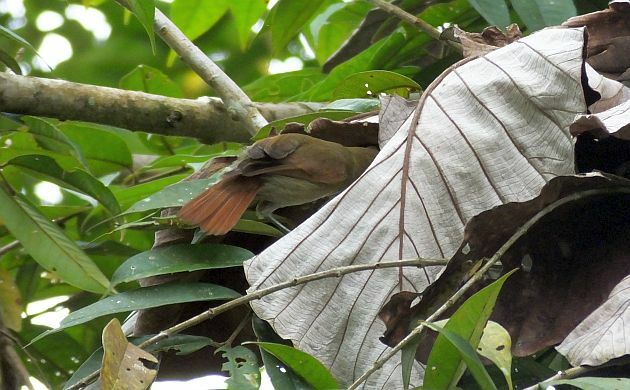 Field guides should show Russet Antshrike like this because this ridiculous view is how they are typically seen. Buff-fronted Quail-Dove in a parking lot- a ridiculous situation that results in ridiculous views! 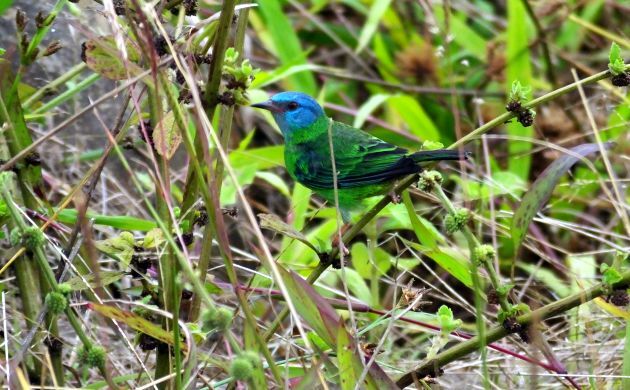 Look for this bird in the Monteverde Reserve parking area. 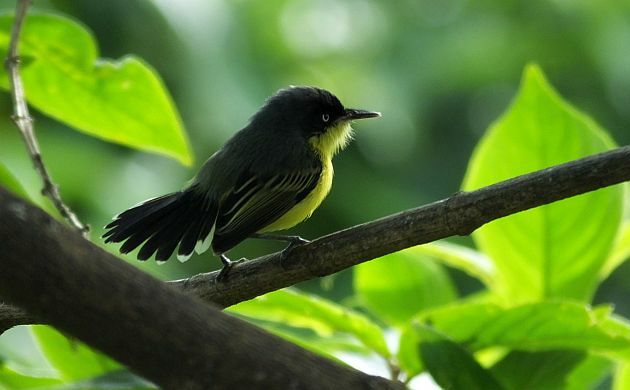 Common Tody-Flycatchers always look ridiculous because they are tiny and always angry. Not only was this one perpetually grumpy, but it was also pretending to be an Asian fantail and failing in its attempt. Maybe that’s why they look so annoyed? Although this might not look strange, trust me, this Summer Tanager was ridiculous. As soon as I sat down for lunch, this tanager landed on the chair next to me. 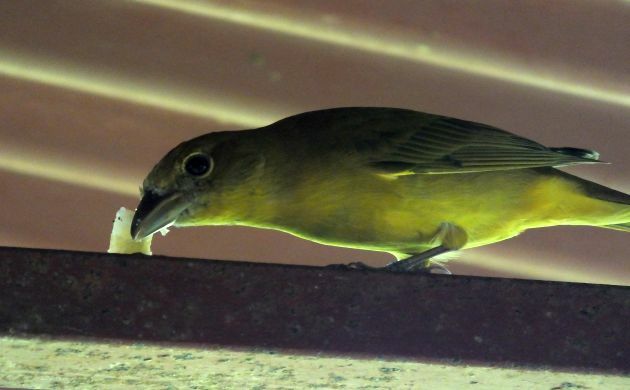 I put a French fry next to it, the bird quickly grabbed the morsel, flew up to a rafter, and this is the picture I took. 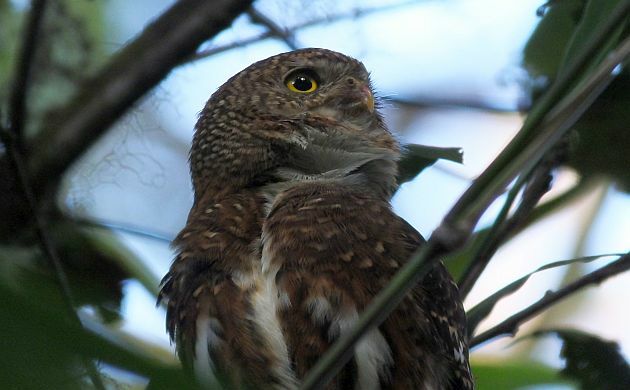 This Costa Rican Pygmy-Owl was ridiculous because it hung out a few feet from us and we left before it did! This is NOT an easy species to see. 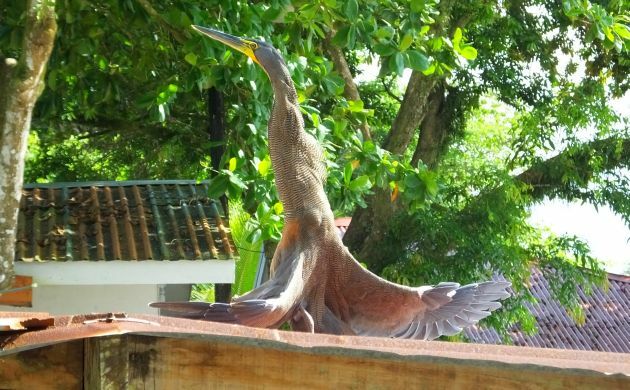 Bare-throated Tiger-Heron doing weird things on a roof in Tortuguero village- no comment. If you are headed to Costa Rica, I hope this post prepares you for all sorts of ridiculous sightings. The second, less desired manner of ridiculous will occur but, hopefully, there will be enough mind-blowing, ridiculous views of birds to make up for that glimpse of a crake, silhouette of a hummingbird in distant flight, or dark view of an antbird in the deep, pouring rain recesses of tropical forest. Fabulous photos! I love that woodpecker!